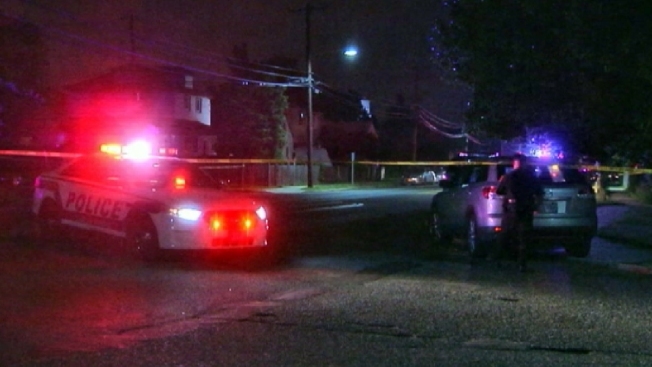 A Suffolk County police officer shot and killed a suspect who allegedly ran from a car and pulled out a gun after a traffic stop in Suffolk County overnight, authorities say. Police say two officers were pulling over a car for vehicle traffic violations on Howells Road in Bay Shore just after midnight when one of the passengers ran from the vehicle. One of the officers chased after the suspect, running through a few residential blocks before catching up. Lt. Kevin Beyrer says the suspect then pulled out a gun and the officer, "in fear for his life," fired two shots. The suspect was shot twice in the torso and killed. Two people who remained in the car after police pulled it over stayed at the scene. They were not charged.